We are looking for Senior Consultants in Emergency Medicine to join one of the leading healthcare organisations in the Middle East - Hamad Medical Corporation. You will be a competent and skilled ED Consultant and have worked as a Consultant, with a minimum of 6 years' experience post CCT. You will have proven leadership skills and experience of working within a multidisciplinary team. In addition, you will have an interest in medical education and teaching, providing both supervision and education to junior medical staff, medical students and other clinical staff. 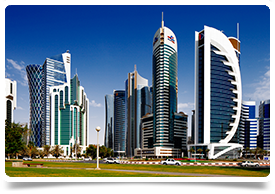 Hamad Medical Corporation (HMC) is the premier provider of secondary and tertiary care in Qatar and manages three general hospitals, seven specialist hospitals as well as operating the National Ambulance Service. HMC is committed to providing world-class quality patient care in a safe and healing environment. As the first public healthcare system outside the United States to achieve simultaneous Joint Commission International (JCI) accreditation for all its hospitals, HMC is also the first hospital system in the Middle East to achieve institutional accreditation from the Accreditation Council of Graduate Medical Education - International (ACGME-I). To meet the healthcare challenges of Qatar’s growing population, Hamad has transformed into a thriving and integrated Academic Health System which will make significant, positive impacts upon patient care, medical education and medical research.